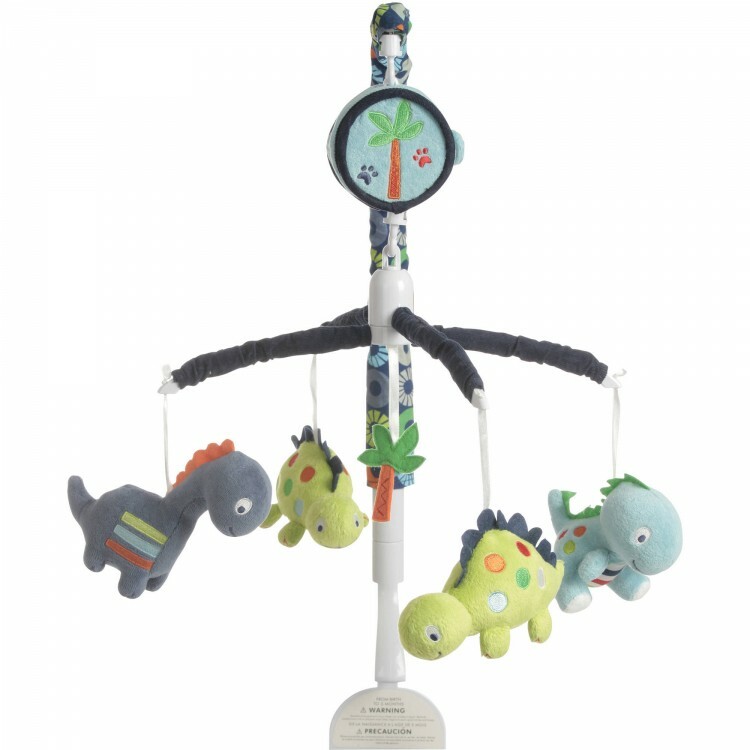 The plush dinos of the Bananafish Little Dino Musical Crib Mobile will sooth and amuse your baby as the mobile rotates and plays a soothing lullaby. 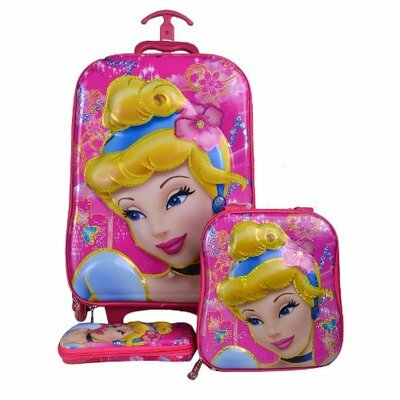 The armature and music box are both covered to offer a clean and coordinating look. The plastic armature will fit most crib rail formats. 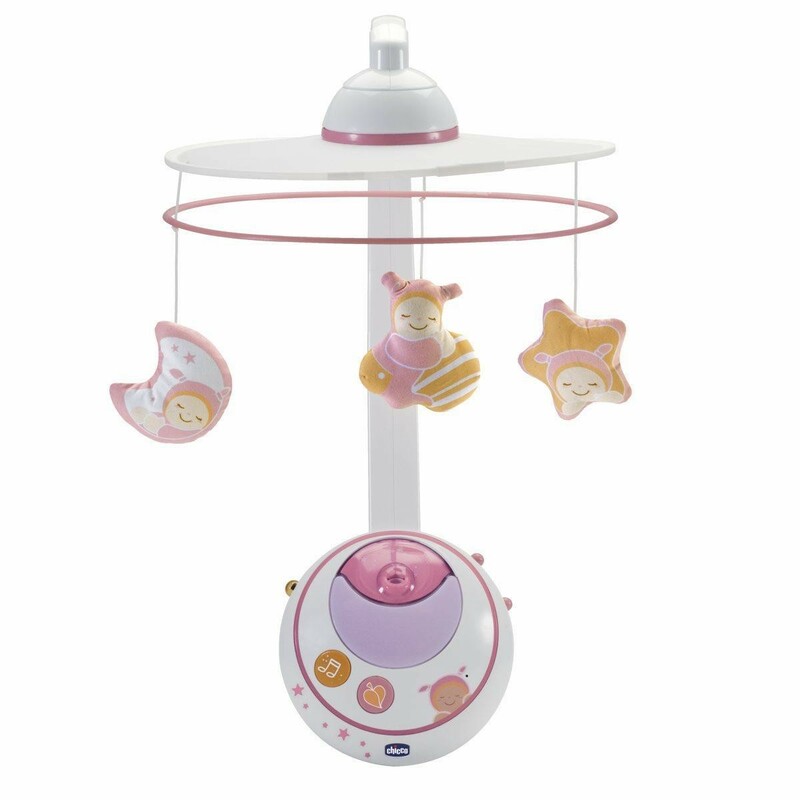 The Fisher-Price Discover 'N Grow Twinkling Lights Projection Mobile can give a fun illumination that dances on the ceiling. It features glowing animal friends that float nearby. This unique mobile has radiant characters that twinkle on and off while undulating up and down. The satiny, high-contrast bumblebees spin overhead at the same time to stimulate baby's visual senses. 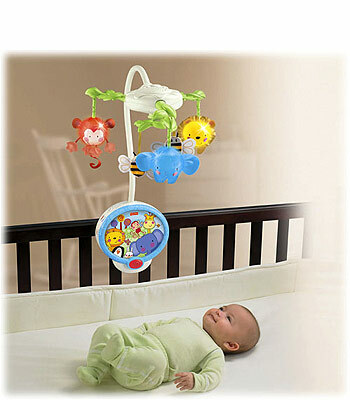 This Fisher-Price projection mobile can offer up to 15 minutes of lullabies and classical music to sooth baby to sleep. 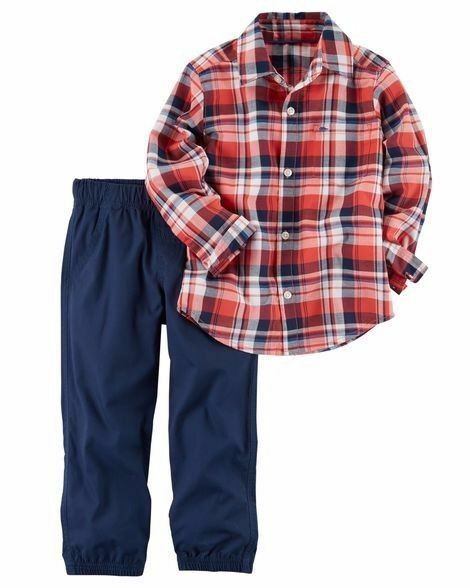 It will even convert to a projector when your little one outgrows the music. 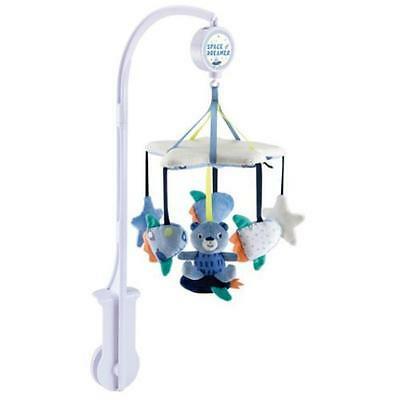 The Fisher-Price mobile requires four C batteries to operate, which are not included. 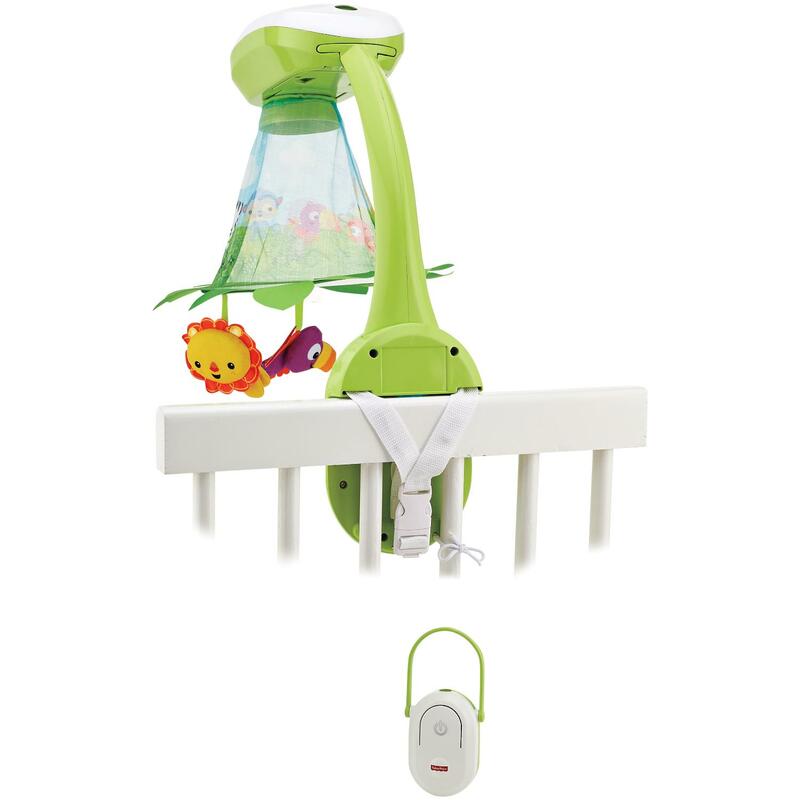 It has a convenient remote that allows you to turn it on and off from across the nursery. 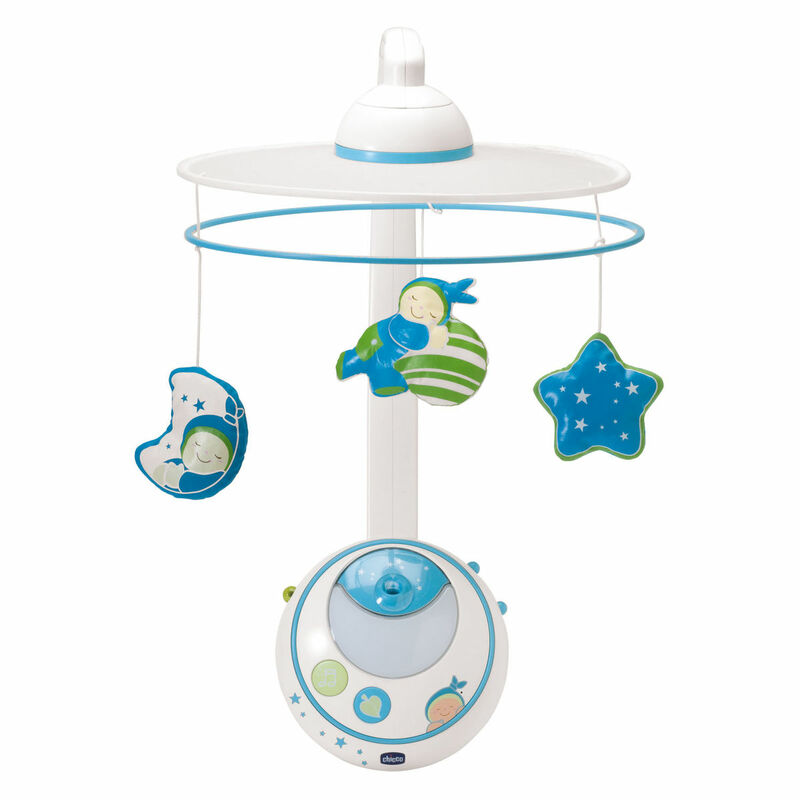 The Fisher-Price Discover 'N Grow Twinkling Lights Projection Mobile will make a sweet addition to a child's room. Help soothe your little one with sweet rainforest friends, soft leaf accents, full-colour projection, music, white noise or nature sounds. 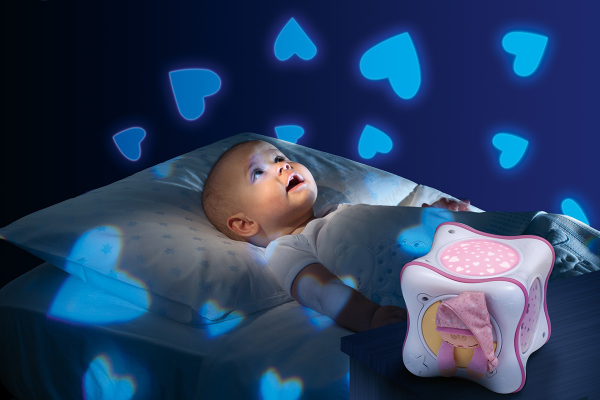 Newborns will love gazing up at the motorized crib mobile with a full-colour scene that’s projected onto the mobile canopy. (It’s easier for younger babies to see it that way!) 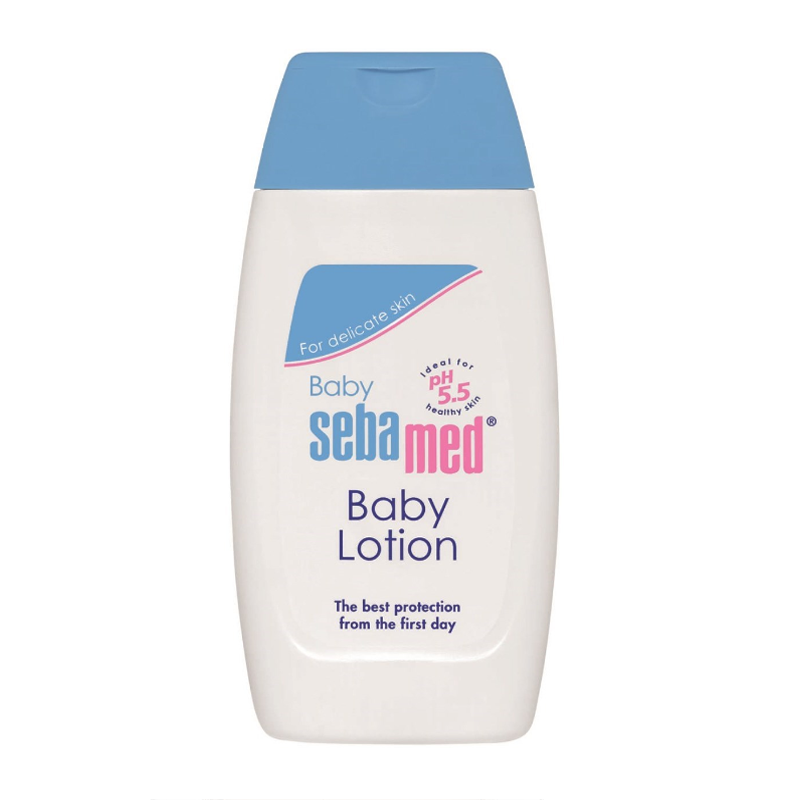 As baby gets older, convert it to a dresser-top musical soother with ceiling projection – and maintain that hard-won bedtime routine. 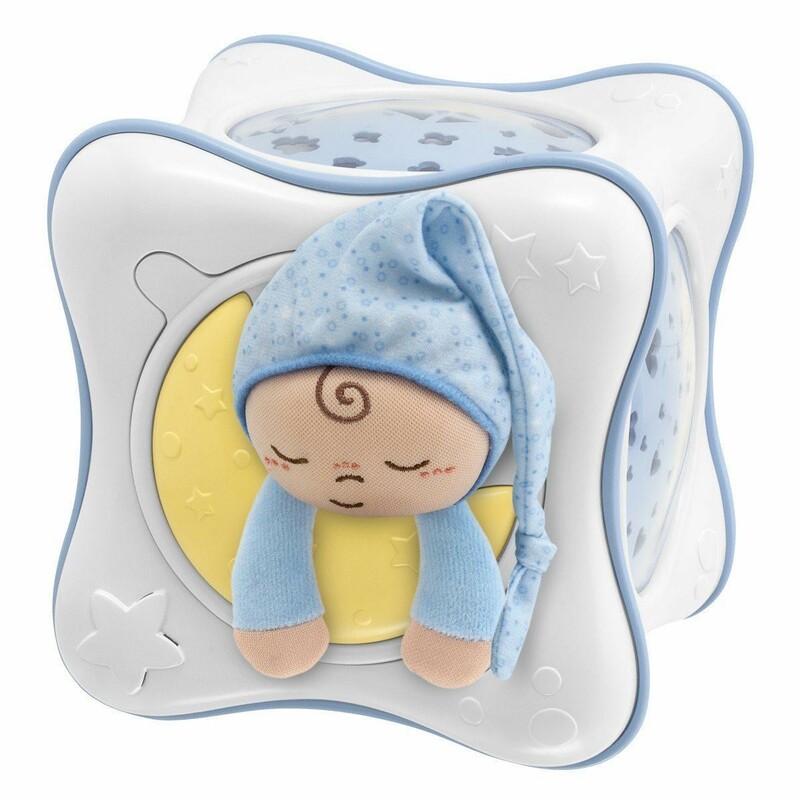 30 minutes of lullaby music, white noise or soothing nature sounds help create a calm, restful environment. 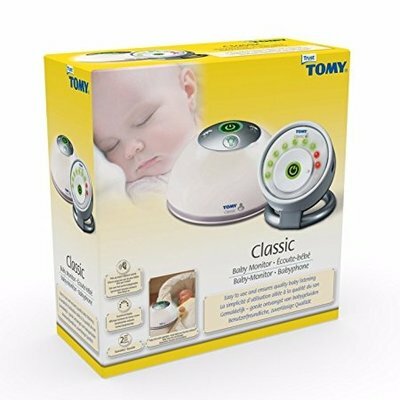 The remote control is designed to hang on the nursery door knob, so you can quickly restart the mobile without disturbing baby. 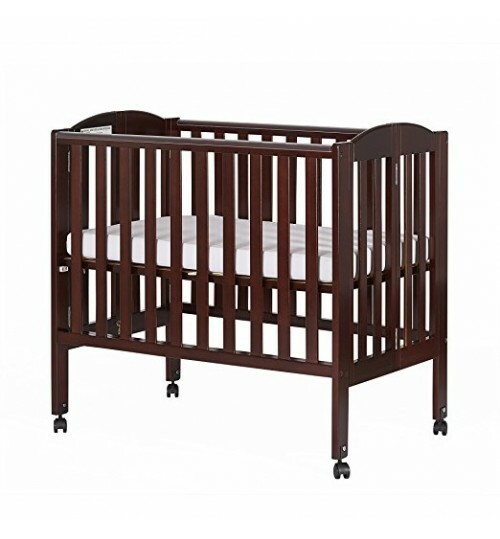 And the secure webbing strap system on the mobile fits most cribs. 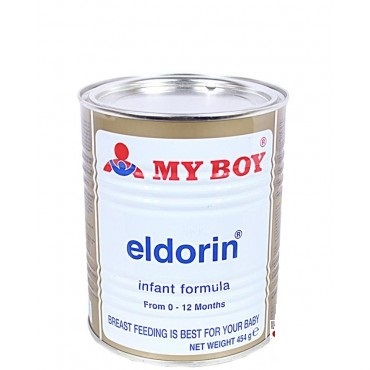 It’s truly a dream-come-true for new moms and dads. 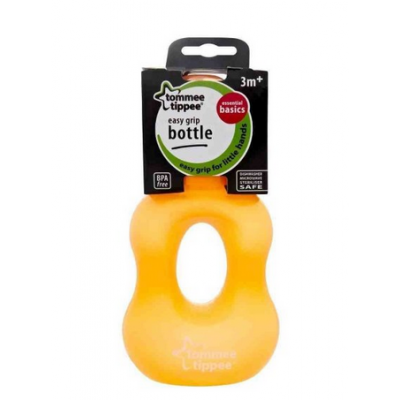 Shake, tap and bat to the beat, with two musical instruments that are just the right size for little hands. 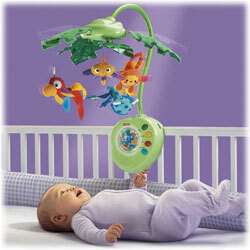 Baby can bat, grasp and tap the brightly colored shake 'n beats tambourine for clacker sounds. 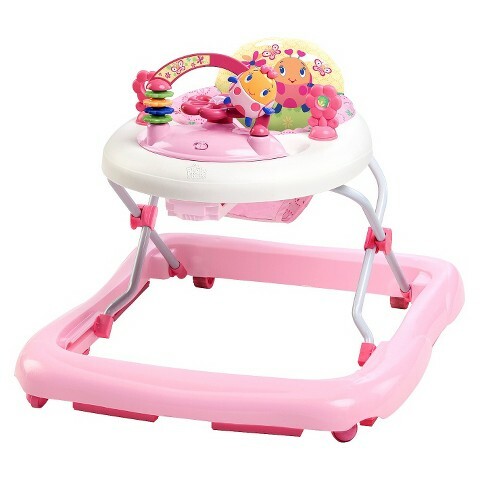 A large shiny mirror and roly-poly rocking action add to the fun. Two rattle 'n rock maracas get baby rocking to the beat in no time. 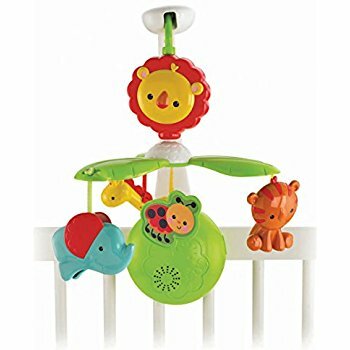 This baby mobiles shiny leaves wave gently up and down while a smiling dragonfly plays peek a boo to musical accompaniment. Other rainforest friends join in the fun, dancing and twirling as the mobile spins around. Use the remote to start classical music from Bach, Beethoven and M ounce art. 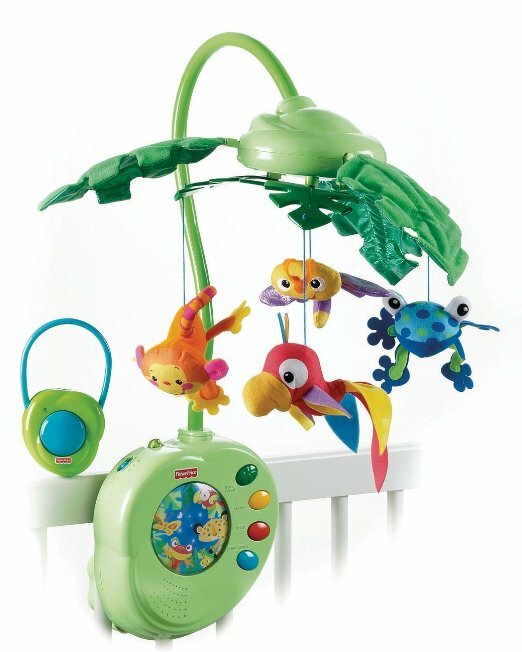 Or, baby can listen to soothing sounds from the rainforest. 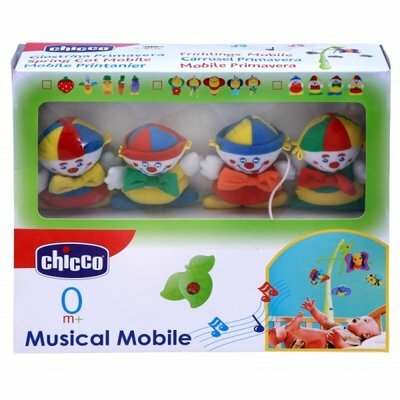 When its time to remove the mobile from the crib, convert it to a music box with soft, glowing night light so baby can enjoy sweet, musical dreams for years to come. 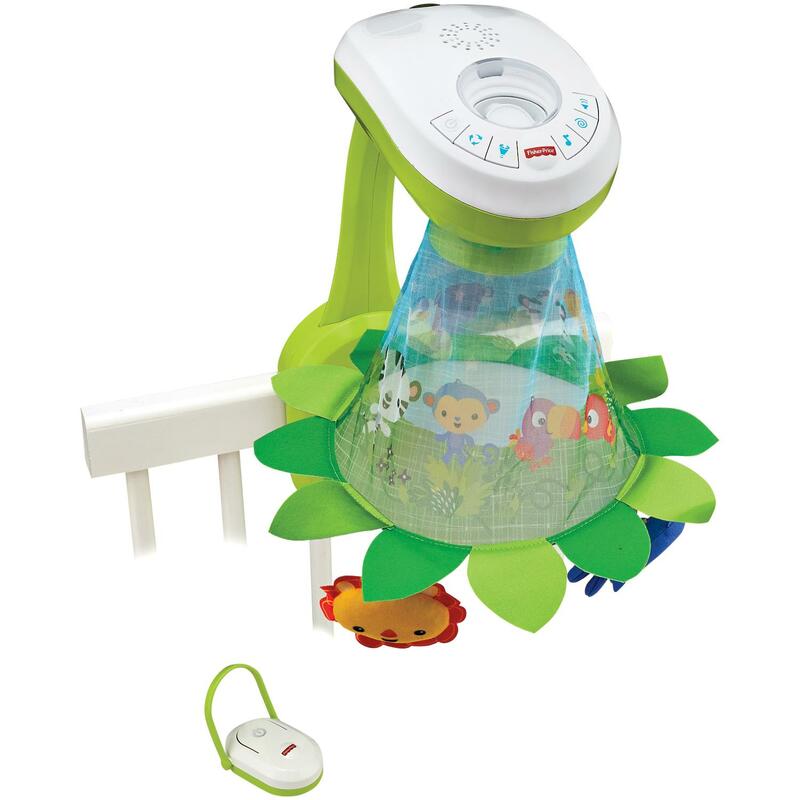 The Rainforest Peek a Boo Leaves Musical Mobile features 3 soothing settings for baby: music, motion and lights; music and motion; or music with night light.Under normal use conditions, the batteries will require replacement in the base more often than batteries in the remote. When lights or sounds become faint, or movement of the mobile is sluggish, it is time to replace the batteries in the base. 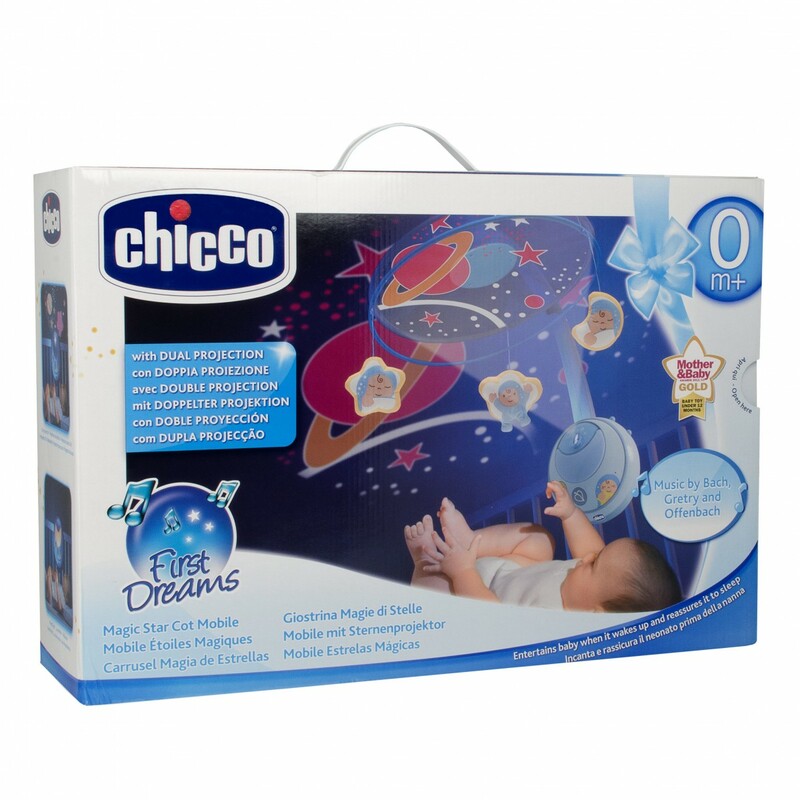 Mobile Projection – Directly on the mobile canopy, perfect for baby’s visual development. Ceiling Projection – Remove the arm and canopy for projection directly on the ceiling, great for when baby begins to pull up in the crib. The soothing melodies and relaxing music by Bach, Offenbach and Grétry are looped together providing an introduction to classical and new age music. 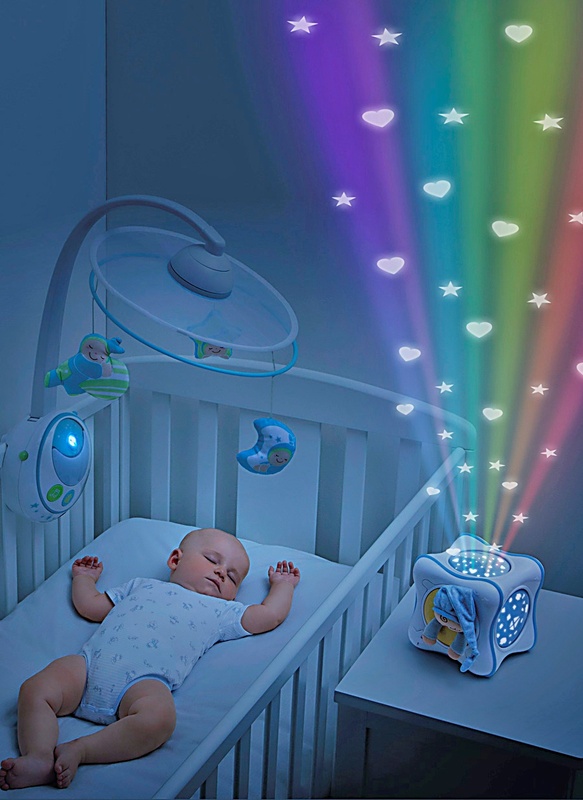 The First Dreams Crib mobile also has a nightlight to help reassure your baby, and an infrared remote control, allowing parents to activate the motion and music without disturbing the baby.